A rather belated good… lunchtime? After rising head-numbingly early to deliver our microwave to the tip and head to the dentist I do lead a riveting life I gave in and tumbled back into bed for a sneaky couple of hours. Last night’s concert, and the subsequent sophisticated soirée (a rowdy ruckus in cafe belgië) with the festival’s composers may to blame for my morningly tardiness. Twas a great evening! 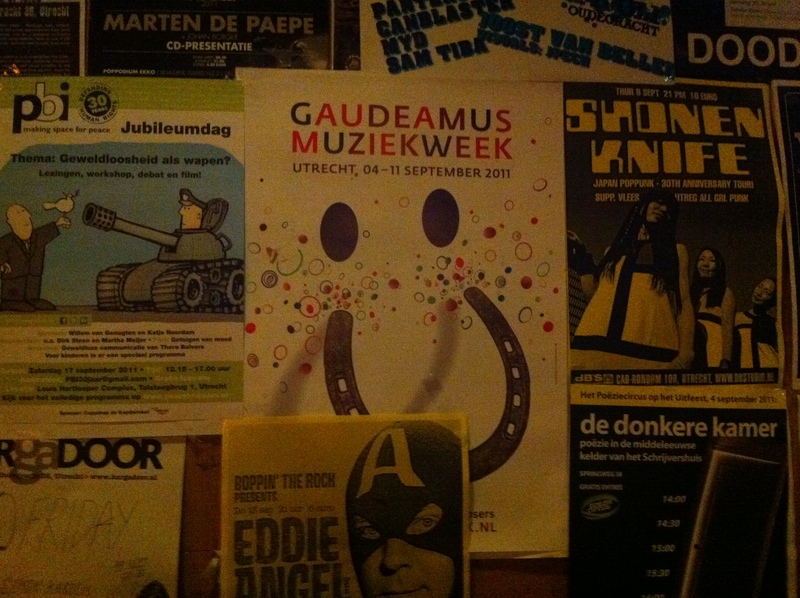 I deem our debut as the Amsterdam Collage Ensemble successful. Now we just have to wait for the judge’s decision on Sunday, whence we shall hopefully WIN AND THEN GET TO PERFORM IN JAPAN. priority numero uno. 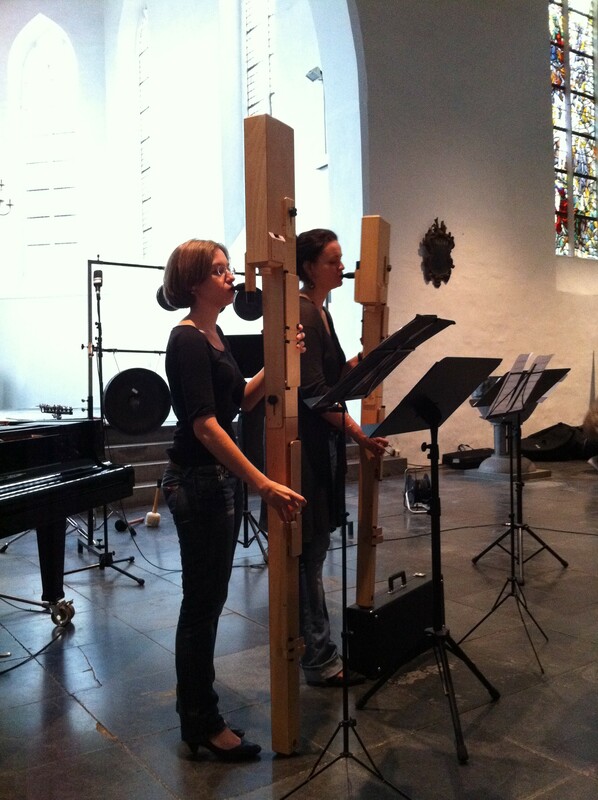 Complete with giant IKEA-esque recorders (those things ARE recorders) and Jason’s sqealy bass-clarinet chewing. Ye gads! I completely forgot to bang on about my ace sock-soe combi at the top of this post. 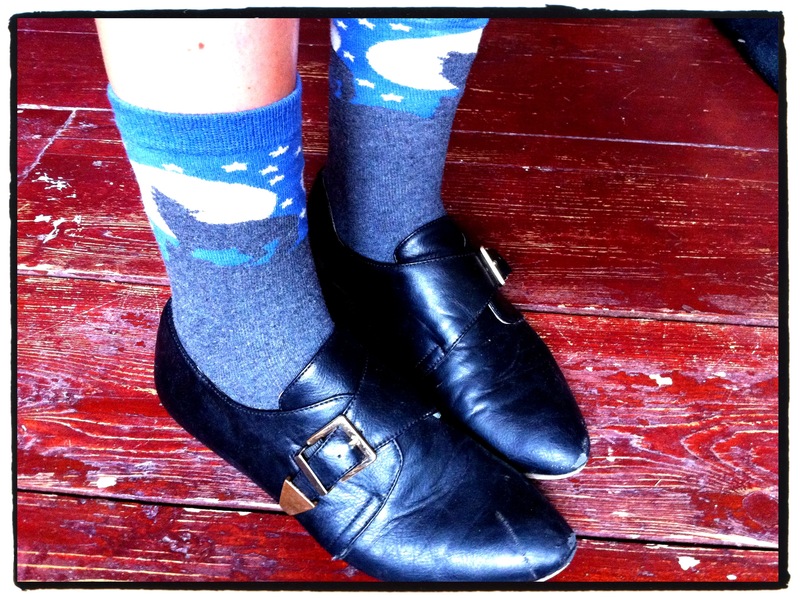 My official black work shoes (sacha), with a mini tableau of a wolf howling at the moon (topshop). Official shoes, for today I start my new job! Teaching music and Ik en mijn Blokfluit at a music centre near Utrecht. I seem to be needing a lot of luck this week, but wish it to me anyways!